Festivities will kick off with the 2019 ‘ocean to plate’ gala feast Down The Hatch, at the Mechanics Hall at 7pm by executive chef Nick Mahlook and his team of artisans from The Atlantic, and dessert by Om Nom’s executive chef Jo Ward. From 8am – 10am Apollo Bay Harbour will transform into an ‘off the boat’ Seafood Market for fresh seafood straight from the fishermen who caught the catch. For a delicious feast punters will be spoilt for choice with award-winning Oysters from Wapengo Rocks, Yarra Valley Caviar and freshly cooked local Rock Lobsters from The Apollo Bay Fisherman’s Co-Op. 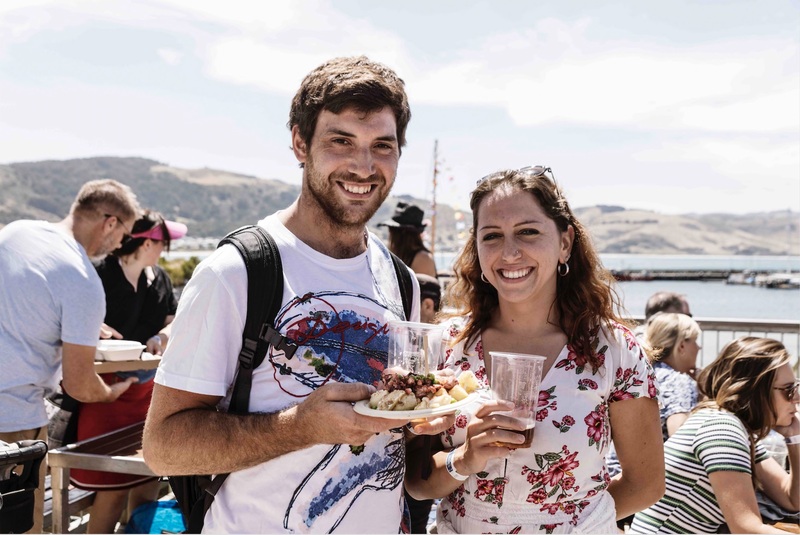 More tasty options include Smoked Mussels in whisky cream sauce by Sticks & Bones BBQ, Seafood Paella by La Bimba, Mushiki Dumplings, local gummy shark burgers from Hello Coffee and epic Garlic Prawn Spring Rolls by Giant Springs. Festival goers will also be able to quench their thirst with local craft beer Pricky Moses, wine partners Mt Duneed and cocktails from ORA bar to name a few. There’ll be plenty to do with free behind the scenes Fishing Co-op tours, rope splicing and cray pot making demonstrations. Festival goers will be able to step back in time as the Apollo Bay and District Historical Society share the history of the harbour coupled with Apollo Bay’s oldest boat on display in the slip yard, and for added fun vintage family photo shoots also on site. For great vibes music will kick off at midday across two stages lasting until 9pm with Forever Sun headlining followed by Nick Barker Duo, Victoriana Gaye, Gena Rose Bruce, Dean Kruger, Bad Bangs, The Fillmore Brothers, The Vacant Smiles, Mike Elrington and The Refuge. Hosted by Richard Cornish and Hillary McNevin join a Conversation in the Littoral on Sunday February 17 for a passionate discussion surrounding the future of sustainability, science and the realities of primary producer life at the Apollo Bay Surf Lifesaving Club from 10am – 5pm. At 5pm, A Victorian Story of Greed, Luxury, Catastrophe … and Hope will have connoisseurs enjoying fine champagne and freshly shucked oysters as The Hungry Gentlemen, Richard Cornish and Max Allen, recount the tragic tale of how ancient native oyster reefs around Victoria’s shoreline were plundered in the 19th century to feed hordes of cashed-up gold miners and squatters flooding into the colony. Friday Feb 15, 6pm – Late, Saturday Feb 16, 10am – 5pm, Sunday Feb 17, 10am – 5pm.